When you have someone that you love deeply and they get Alzheimers or Dementia, it’s sad to see them that way. Or when kids are left alone because their parents are in the military or have other obligations – sometimes the loneliness is heartbreaking. This is where the Joy For All Companion Pets come into play and can brighten the day. As seniors get older and suffer from diseases that strip their minds of memories, they can sometimes feel that there is no joy in going on, no quality of life. No matter what you try and do, it may seem that nothing works. Having taken care of my 96 year old mom the past couple years, I watch to see if there are certain things that bring more enjoyment than others. For instance, she really likes looking at old picture books. She may not recognize everybody in them, but we tell her who they are. Sometimes she remembers and sometimes she doesn’t. 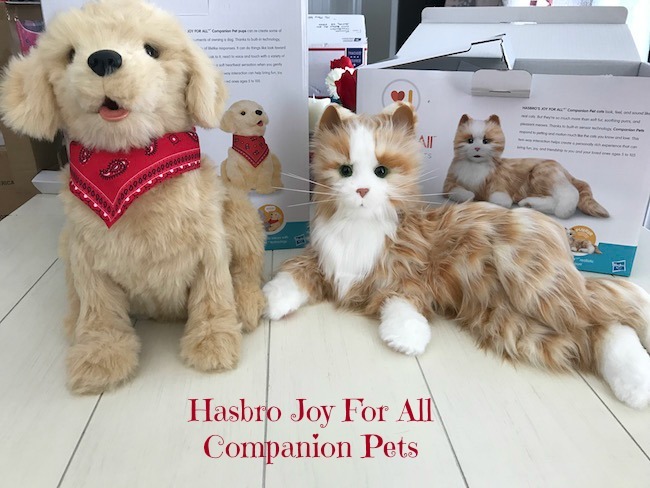 I am always open to trying new things so when I heard of the Joy For All Companion Pets by Hasbro, I was willing to give them a try. 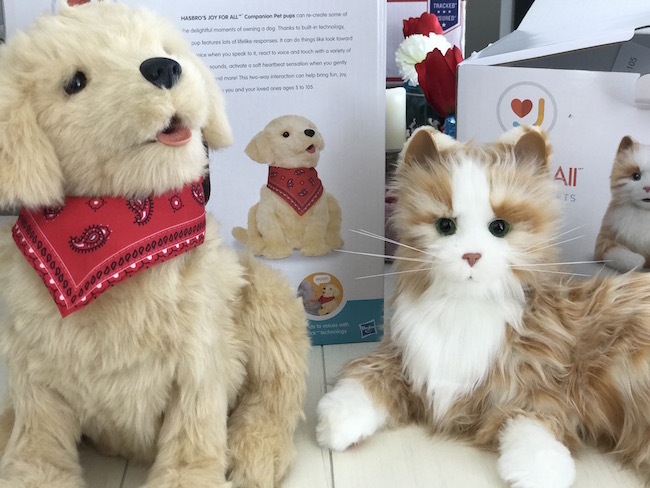 I received both the dog and the cat companion pets and it’s hard to say which one is cuter. 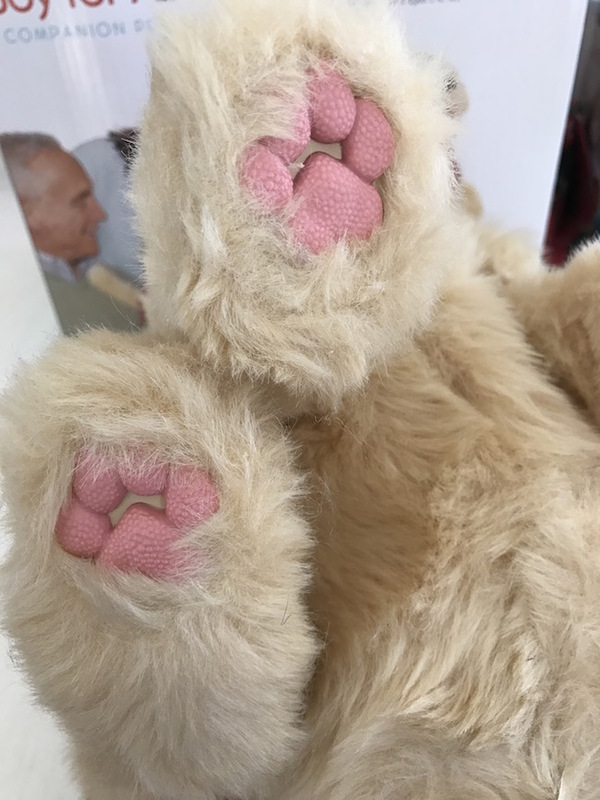 Both are soft and cuddly and feel like a real dog or cat and make life like animal sounds. They say pets are good for you and can lower anxiety, blood pressure and make you calm. So I’m sure that the companion pets can do the same. 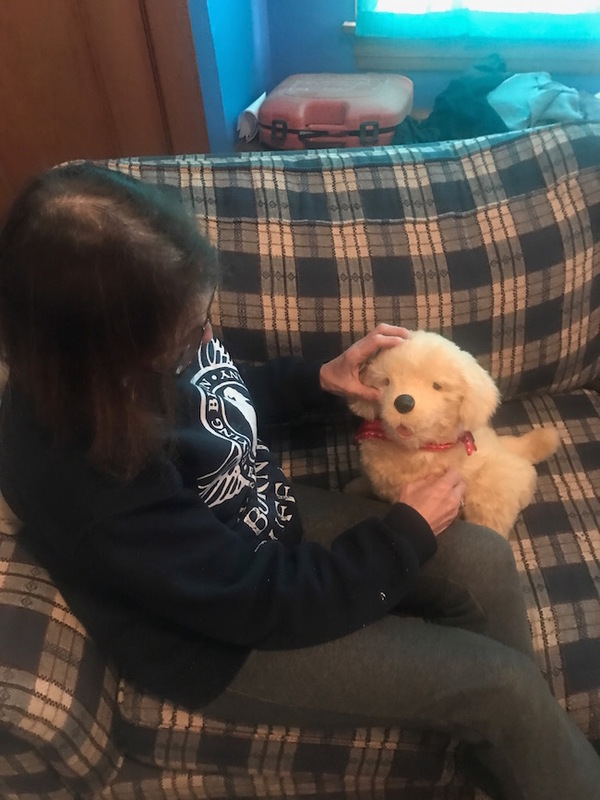 I gave the dog to my mom because she was always more of a dog person. She looked surprised when the dog started barking, thanks to built in BarkBack™ technology. When you touch a certain part of the dog, you can feel his heart beat. With it’s built in sensors, if after a few minutes of not touching the dog, he will go to sleep. It’s so cute because he will turn towards her when she starts talking. What’s great about the JOY FOR ALL™ Companion Pets is that while taking care of an elderly person, the last thing you want to do is have to take care of a dog or cat as well. 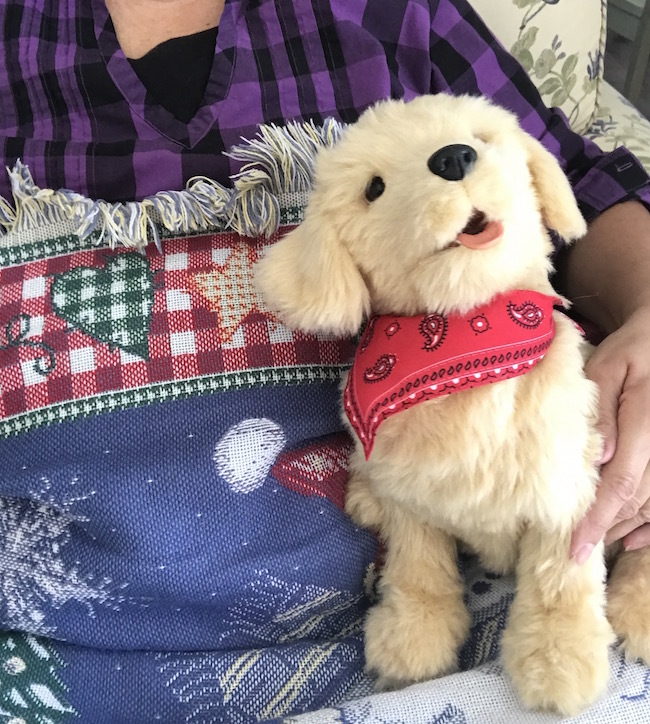 The unique two-way interaction can help bring fun, joy, and companionship to you and your aging loved ones ages 5 to 105! 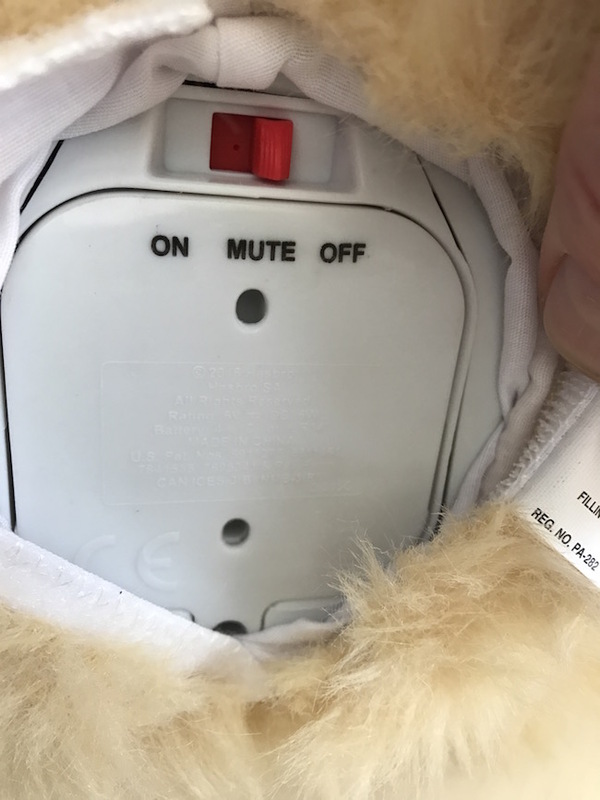 The feet and the tongue are hard rubber and there is also and on/off and mute switch under the bottom by the battery compartment. The cat has beautiful green eyes. 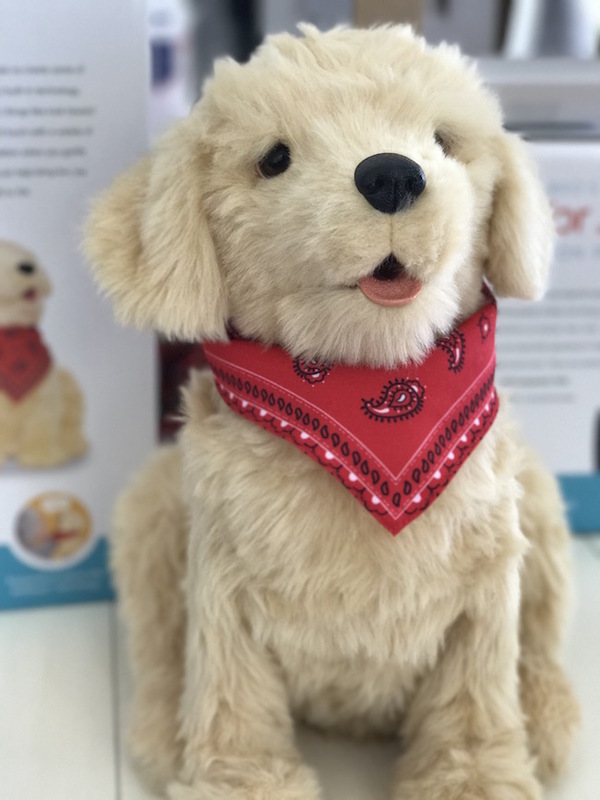 Connect with Hasbro’s JOY FOR ALL™ Companion Pets on Twitter and Instagram. And remember while you elderly parents and kids may fall head over heel in loves with this adorable companion cat – other pets in the home may not feel the love as shown in this video below that showcases the real movements of the Joy for All cat. 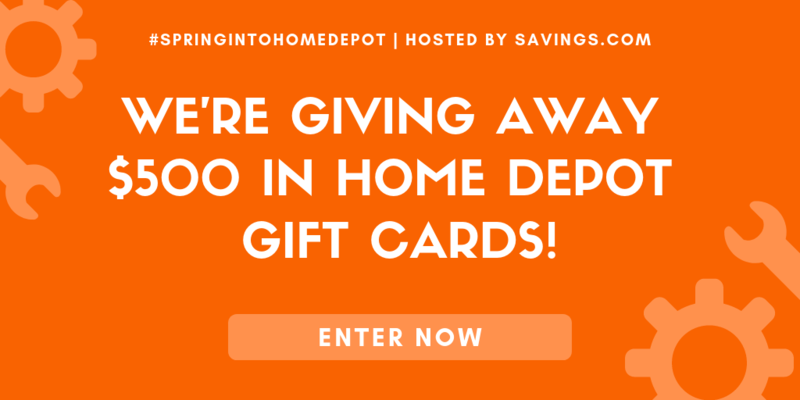 The sentiment around the web is very positive with most of the customers making purchases for their adult parents who are going into nursing homes or suffering from ailments like dementia. Many noticed an improvement in their parents demeanor in terms of talking more to their new pet and just an overall sense of contentment. IMPORTANT NOTE: From a reliability standpoint most were very happy with the durability of the pets, but we did see a few people say that the pets broke when their parent held it too tight. So, if you have a “stronger” hugger type parent there may be the potential for the pet to break. Cleaning companion pets is fairly easy as will. Simply spray the pet with a Dapple cleaner and gently wipe with a a towel. You can also use sanicloth wipes for touch ups. Let hair dry thoroughly and then brush the fur to keep it healthy looking. Can I recommend Joy For All Companion Pets? Overall I highly recommend this product for almost anyone who loves animals but cannot have a real one! It was easy to get started and use and my mother actually had a smile on her face – which is priceless to me. 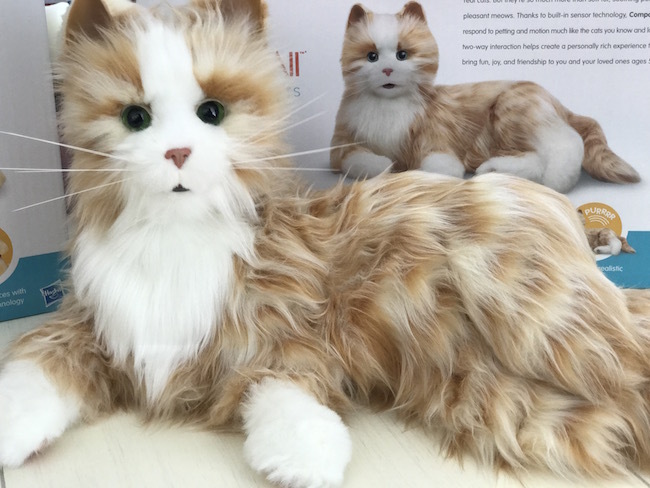 These pets are so lifelike it is almost eerie. 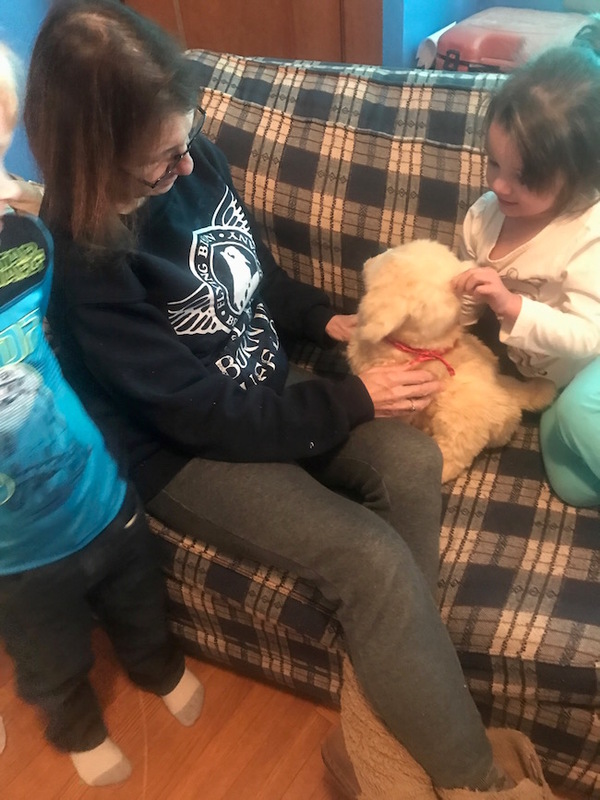 The technology in these companion pets is amazing so the cost is a bit high, but in my opinion it is will worth it to give kids – or adults a sense of calm and love. It is seriously the closes thing to having a pet without having the responsibility of caring for one! 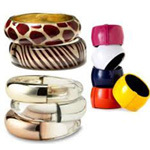 They are available on Amazon for purchase.